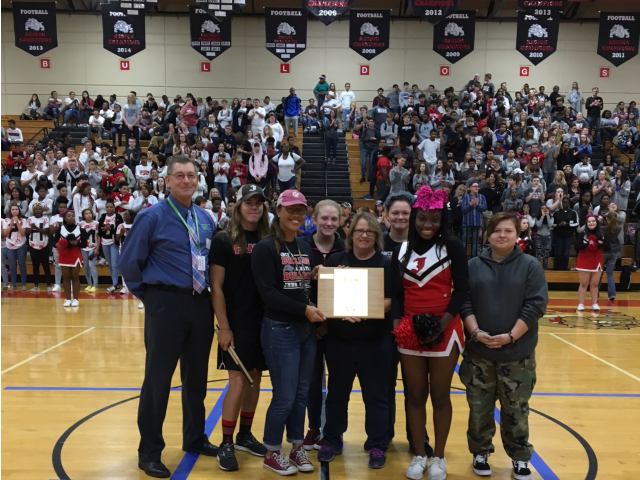 Often times the award plaques are presented during school scheduled assemblies in front of the whole student body. Shelby Bilbrey receives a plaque for John Hardin HS's Green Team from KGHS Coordinator, Gregory Taylor. (Photo taken by Mark Wells). Division of Waters Coordinator, Maggie Morgan, shares ways of testing for water quality during a teacher workshop at Lake Barkley Resort Golf Course. (Picture taken by Gregory Taylor). 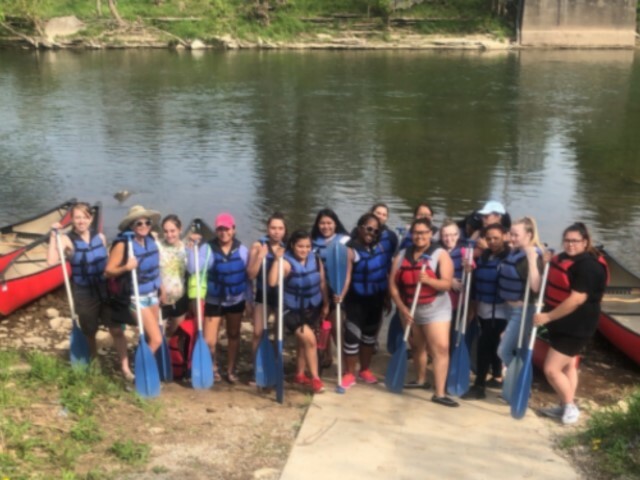 Family Care Center's Biology students are ready to get started down the Elkhorn Creek to observe macro-invertebrates and test the water quality. (Photo taken by Gregory Taylor). 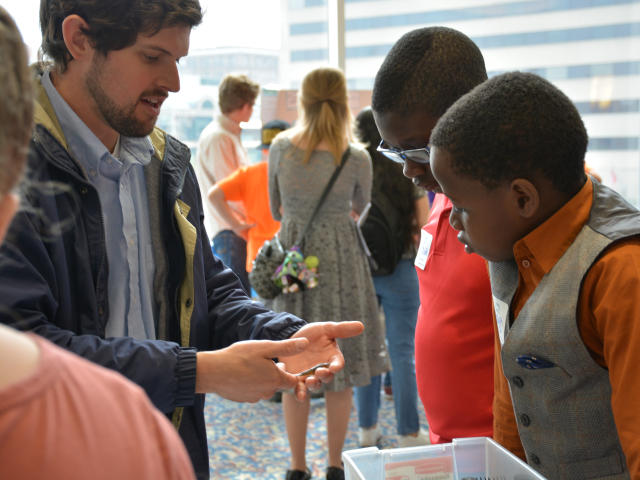 Students observing displays during the 2018 SUMMIT Luncheon. (Photo taken by Elizabeth McNulty). Students from all grade levels. Students sharing projects with students. 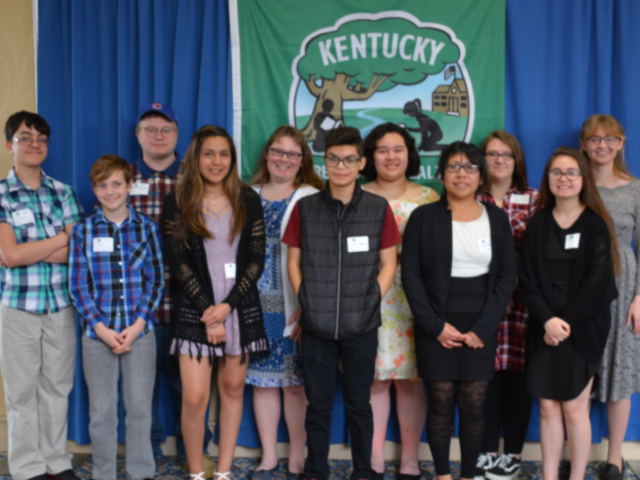 The Kentucky Green and Healthy Schools and Kentucky NEED Project Youth Summit and Awards Luncheon is a great opportunity to gain new ideas for next year's projects. (Photo taken by Elizabeth McNulty). 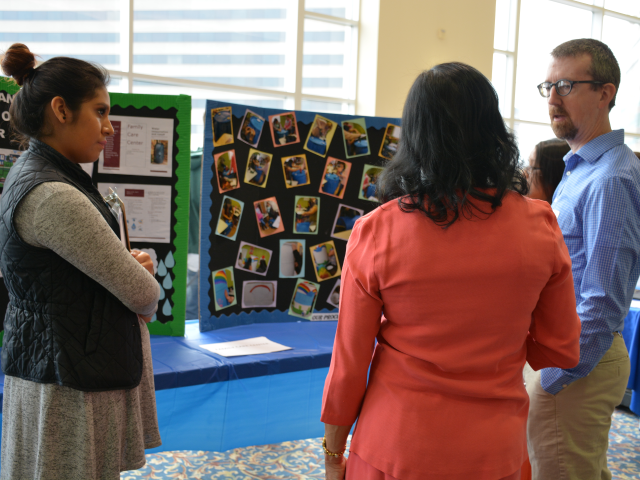 Students share projects with teachers. (Photo taken by Elizabeth McNulty). 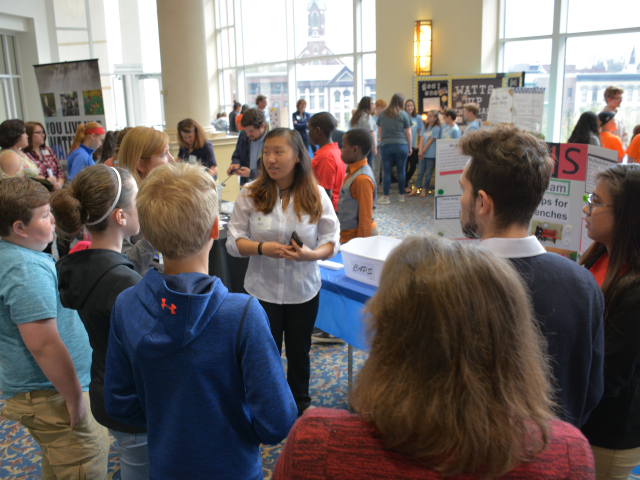 High School students share projects with middle school students. 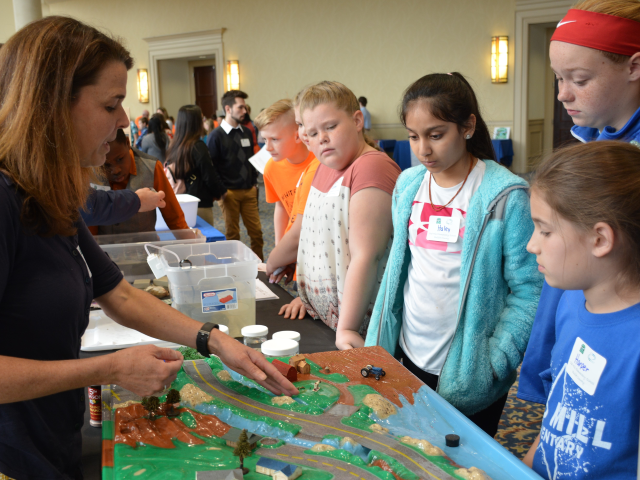 A Kentucky Water Basin Coordinator (Malissa McAlister) shares information about types of run-off into ground water supplies. 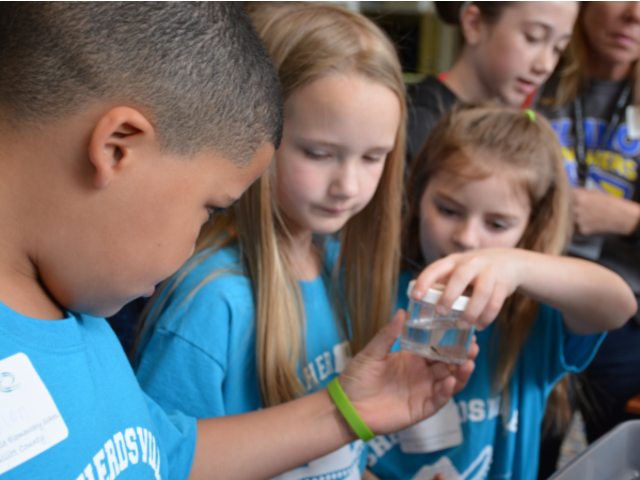 Division of Water personnel (Chad Von Gruenigen) share information about macro-invertebrates. (Photo taken by Elizabeth McNulty). 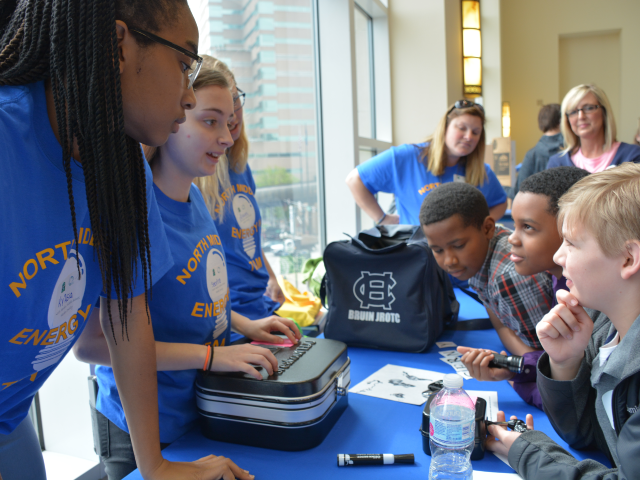 High school students sharing projects with elementary students. (Photo taken by Elizabeth McNulty). 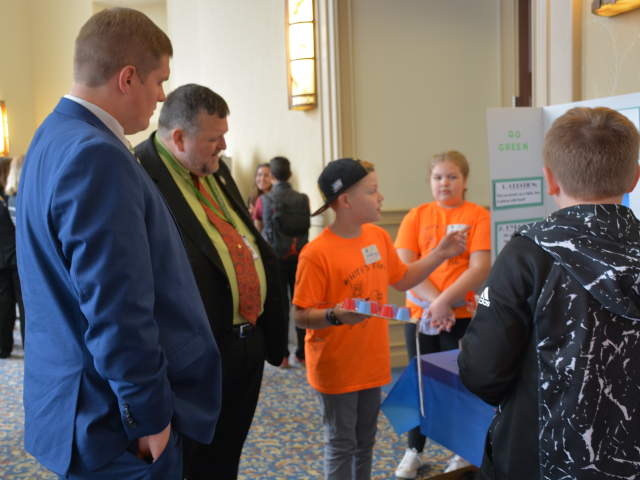 Kentucky Environmental Education Council Executive Director, Billy Bennett, listens to an elementary students sharing their projects. (Photo taken by Elizabeth McNulty). Students looking at different macro-invertebrates. (Photo taken by Elizabeth McNulty). 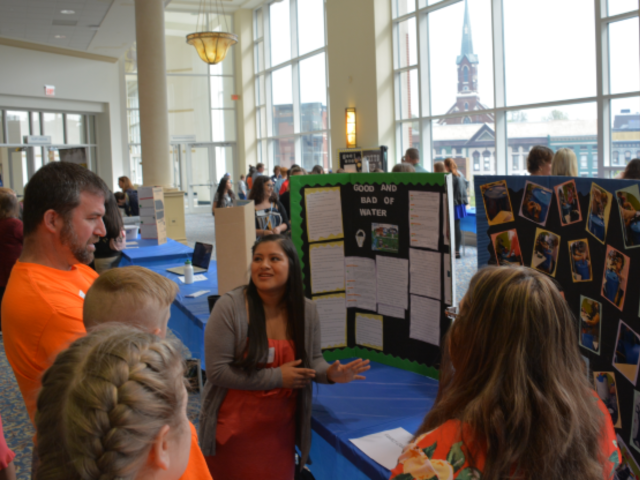 Kentucky Environmental Education Council Administrative Specialist III, Wesley Bullock, discusses projects with teachers and students. (Photo taken by Elizabeth McNulty). 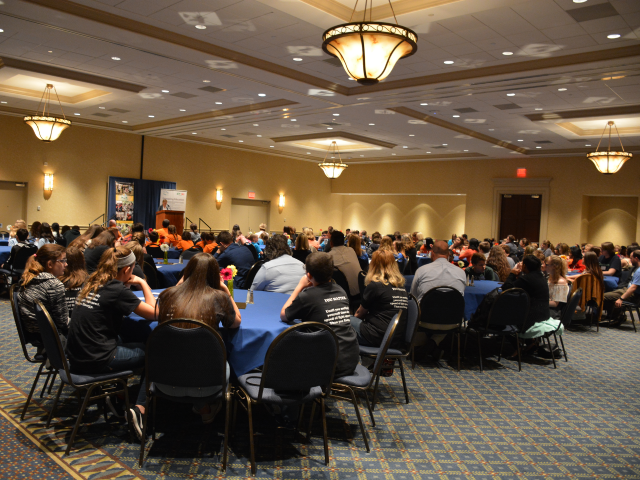 KGHS participating schools listen to the Key-note speaker at the 2018 Youth SUMMIT and Awards Luncheon. (Photo taken by Elizabeth McNulty). Kentucky Green & Healthy Schools (KGHS) is a project-based program that uses the entire school building and grounds as a learning laboratory for students. All grade levels of any public or private schools are invited to join KGHS! To participate, visit Join KGHS​. 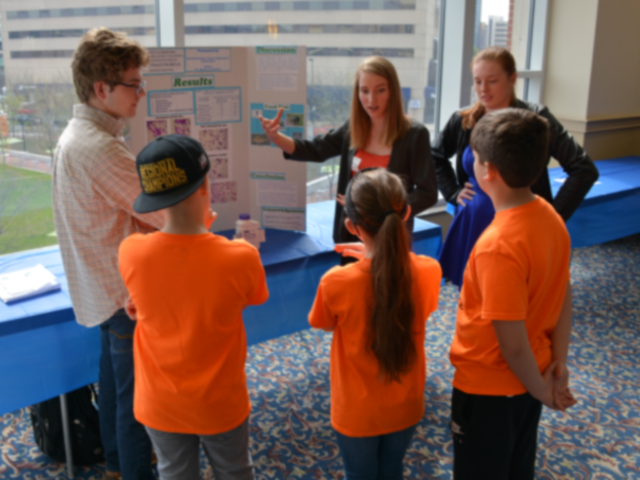 Through this program, a team of students, teachers, and school administrators (a "Green Team") work together to improve the school facilities in nine different categories. For more information on the different categories, visit the Program Overview​. By making improvements on campus, students can help the school save energy costs, decrease absenteeism, increase student test scores, and create a more sustainable learning environment, among other benefits. 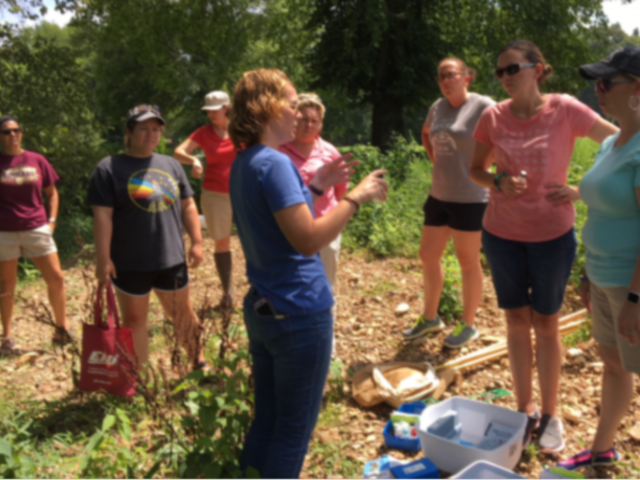 KGHS is a program of the Kentucky Environmental Education Council in partnership with the Kentucky Department of Education. 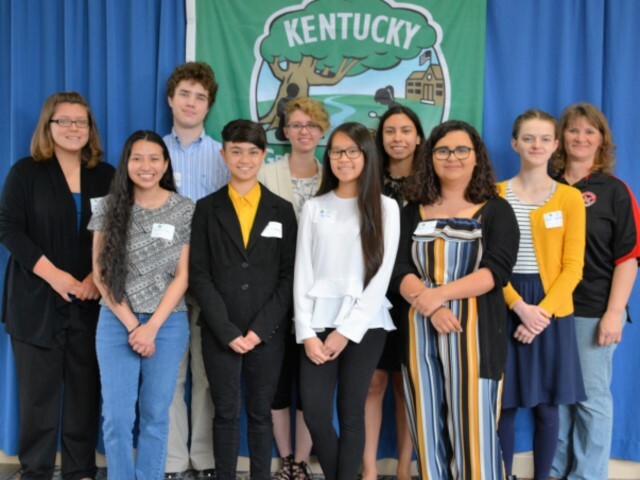 There are at least 48 schools that have been active in the KGHS program in the past year, many of them participating in a grant program to promote water quality and conservation in Kentucky. You can see all currently active schools on our interactive map. 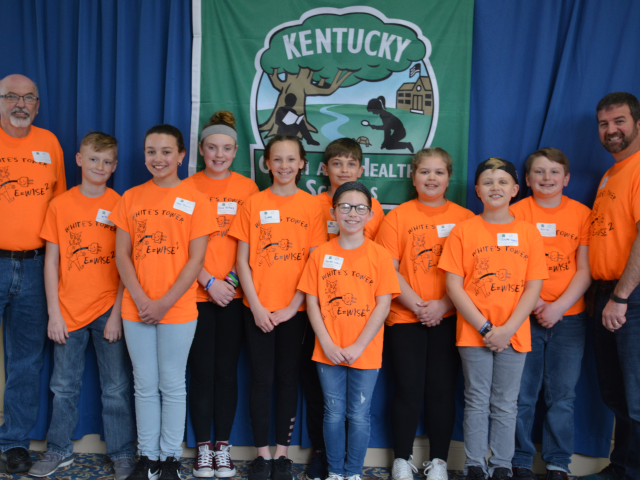 The 2019 Kentucky Green and Healthy Schools and Kentucky NEED Project Youth Summit and Awards Luncheon will be held on April 26 in Lexington. You can find an updated list of resources for each category on the Kentucky Environmental Education Council website. There is also a list of places in Kentucky that offer environmental education.